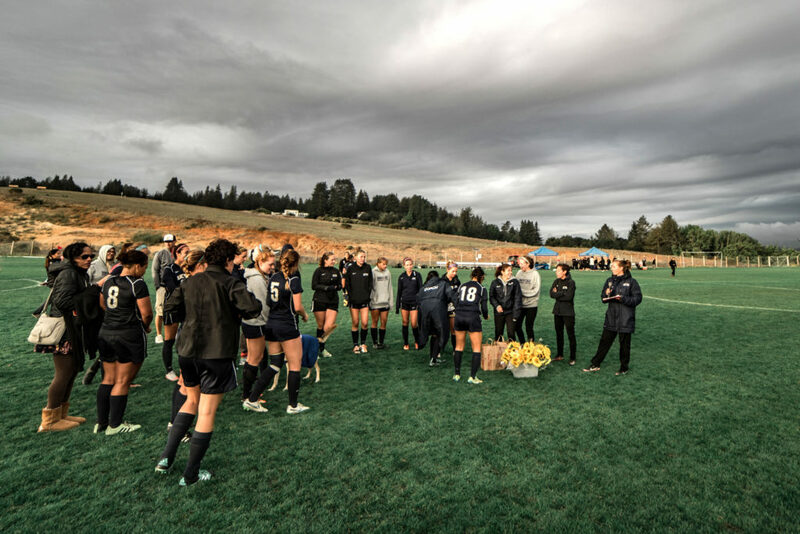 Several soccer players from the men’s and women’s teams took the field at the home Senior Day match versus San Francisco State University (SFSU) on Oct. 24 to celebrate their last season. Despite not scoring in the first half of the game, UC Santa Cruz’s Division III women’s soccer team rallied against SFSU to score two goals in the second half, forcing its opponent, a Division II team ranked 7th in its division, to be on the alert. The game was close, and despite their second-half comeback the Slugs were defeated. In the 77th minute, senior midfielder Megan Carey shot a ball from 30 yards downfield into the back of the net. Her goal put Carey even closer to tying the record for the fifth-highest scorer in UCSC women’s soccer history. Carey’s goal towards the end of the Senior Day match marks one of the last times in which the senior players will be able to compete at home. The event celebrates the graduating players and their contribution to the soccer program. Right before the women’s game, men’s soccer took the field with fellow athletes cheering them on. Parents held up pictures and signs commemorating graduating players. Both teams ultimately ended their senior games with a loss, women’s 3-2 and men’s 2-0. But the team members, particularly those graduating, were still happy with the outcome. 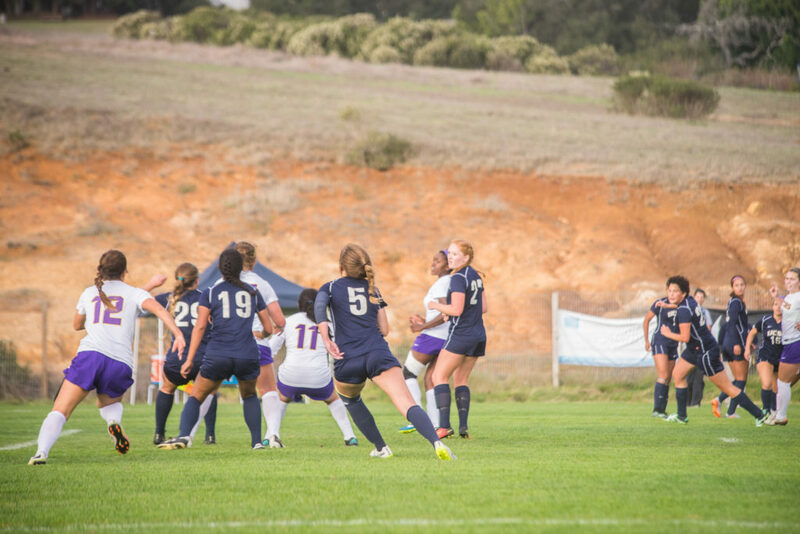 The men’s and women’s soccer teams must play in Division II local games, like the game with SFSU, rather than traveling to Division III opponents because there is reduced funding for travel. With the Office of Physical Recreation and Sports (OPERS) facing a projected $600,000 deficit this year, the athletic administration and other sports teams are stretched thin. While this has caused a drop in the team’s ranking, the players see it as an opportunity. On top of the cut in funding, men’s and women’s teams are suffering heavy player losses, — about a third of each team will be graduating. 10 of the women’s soccer players and 11 of the men’s soccer players will be graduating in the spring. Women’s coach Emily Scheese said that it will push the team to recruit strong players to replace the graduating seniors. Parents and attendees watched as the senior players received flowers and gifts. Fellow teammates shared some of their favorite stories, like the time they were reprimanded for fighting with real swords at Gettysburg during an away tournament, their bouts of competitive eating or group singalongs to Beyoncé. In spite of the challenges, the men’s soccer team still brought home three wins in its 15 game season and women’s soccer has brought home four wins of its 14 game season. Much of this is credited to the senior players. It will be up to the younger players to continue growing the team to eventually move into a DII status.